It’s been so long since I went to Italianni’s. 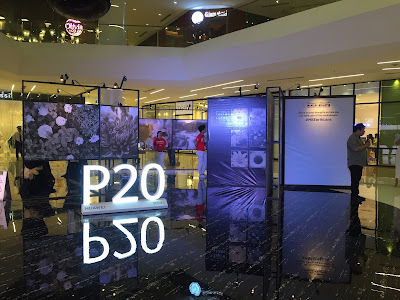 I remember that when it comes to Italian food –may it be pasta or pizza, their branch in SM Mall of Asia would be my most recommended among the restaurants there. 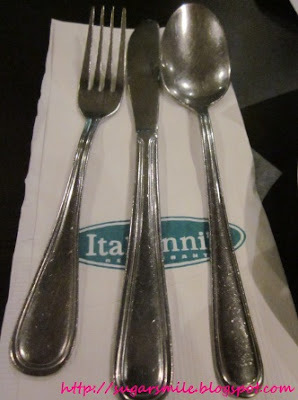 Luckily, last Thursday, I got to witness the re-opening of Italianni’s at Gateway Mall and tried their newest dishes, together with the new look and feel of the restaurant. The interiors of Italianni’s Gateway, is without doubt, very inviting. If you want to be with your family or friends, you can invite them here for an intimate setting. I know because I even went there again last Friday with my BFF Karch, but that’s another story. Ready to try their menu. Every meal at Italianni’s starts with their freshly baked Focaccia and Tuscan bread. To taste more appealing, you can dip it with olive oil and balsamic vinegar. 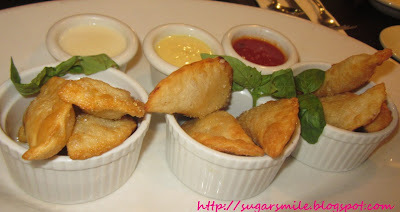 For starters, we were served with the Italian Pockets. This special dough and crisp bread is stuffed with chicken and shrimps, mushroom and bacon, tuna and spinach. This is new in their menu, and the dips mostly do the trick. I enjoyed the tuna and spinach pockets most out of the three. Next, we also tried the Alaskan Crab Dip. 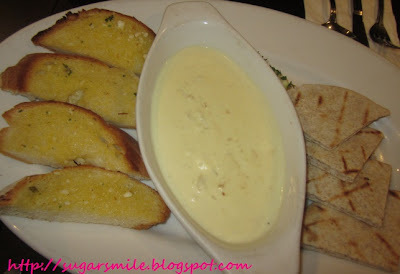 Served with pita and garlic bread, the crab dip tastes divine. I enjoyed this very well because you could linger the taste of the Alaskan crab, white wine, mozzarella cheese and cream dip. Definitely one of the best in their newest line-up. 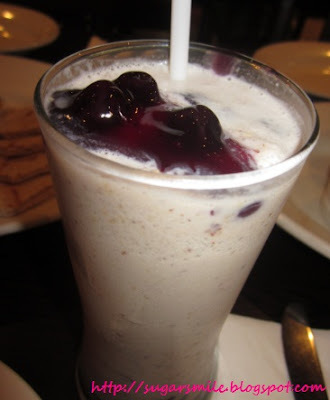 For my drink, I chose the Blueberry Cheesecake Maltshake. 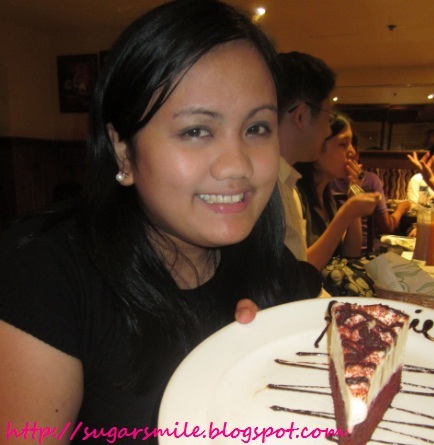 I just couldn’t get enough of cheesecakes that I had to order it for my drink. And since I’m not that fond of drinks that are too sweet, I really enjoyed this flavourful beverage. 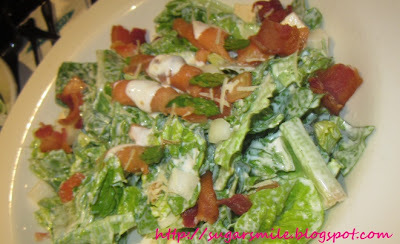 If you’re a regular at Italianni’s, you would know that they have hefty variations of salads. Most favorites are the Sicilian Chicken and the Caesar Salad, but we were intrigued with their newest Smoked Salmon Asparagus. This is by far one of the healthiest salads I’ve tasted – because of the salmon. This is best for people who are on a strict diet regimen. For the best part - PIZZA time! Krystle and I decided to get the Mixed Seafood for a more healthier option. 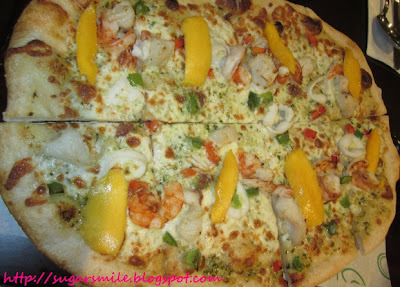 Since were not allergic with anything, this yummy pizza filled with fish fillet, shrimps and squid with mozzarella and mangoes should not be missed. This will be enjoyed by any member of your family. 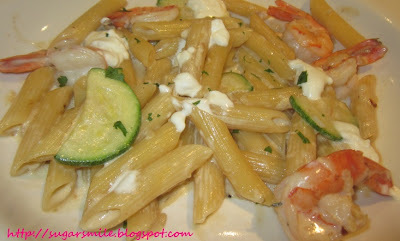 With their array of pasta dishes, we decided on the Shrimp Penne Mascarpone. We wanted to try out the new ones in their menu, and we were not disappointed at all. I think the light cream sauce and mascarpone cheese does all the trick in making it tasty. I loved that we seem to have this shrimp-fest all over us that day. The best of the best! 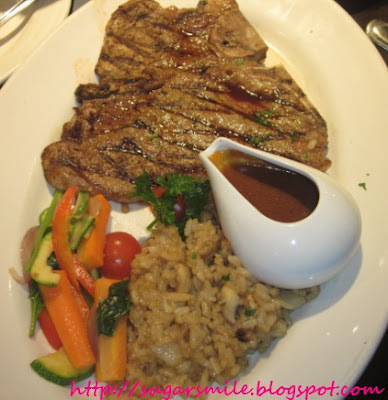 Italianni's offers only the perfectly grilled steaks in their menu. Choose from T-Bone, Ribeye, Beef Tenderloin or New York Steak, according to your taste buds. You're in treat with this steak heaven. With so many delectable dishes we have tasted, I find it bizarre that we still have room for dessert. 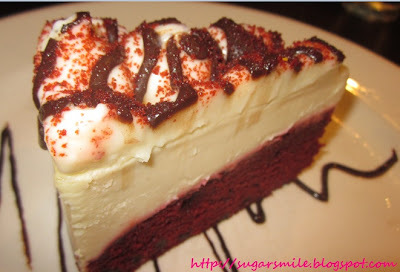 But since Krystle and I were on a sweet tooth mode, we ordered the Red Velvet Cheesecake, also one of the newest in their menu. It's so big, that its meant to be shared, and boy, did we have so much fun eating it. If I had an applaud music on my first bite, it would probably play until I had my last. This cheesecake it the best one I have ever tried, and its not even blueberry. Whoaaaa!!!! 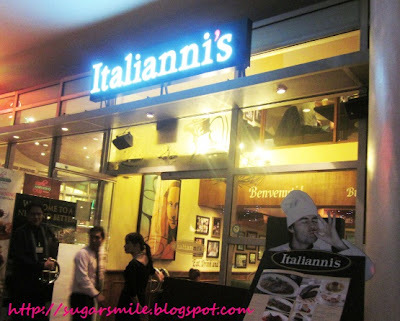 I miss Italianis!!!! thanks for the post! now i know where to bring my wife as soon as we get back home!! !